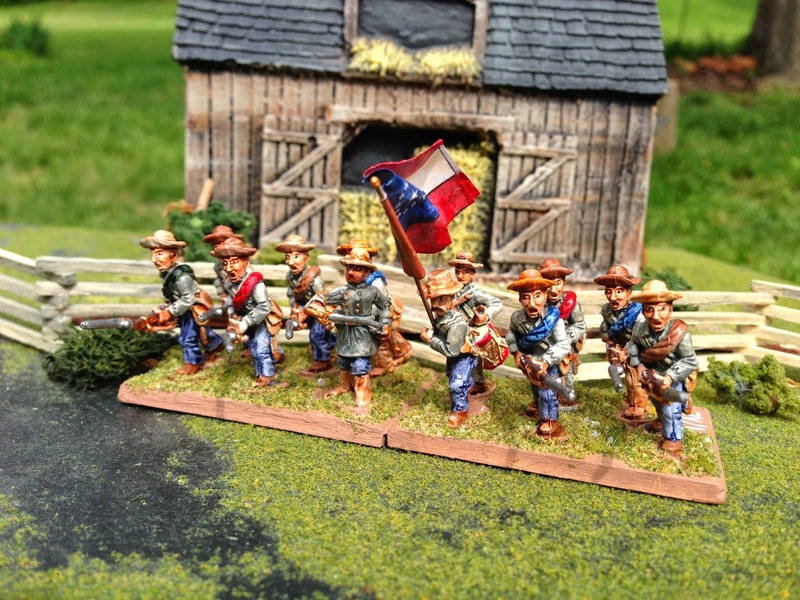 I have a sweet spot for these old school Frontier Miniatures (80's) figures. 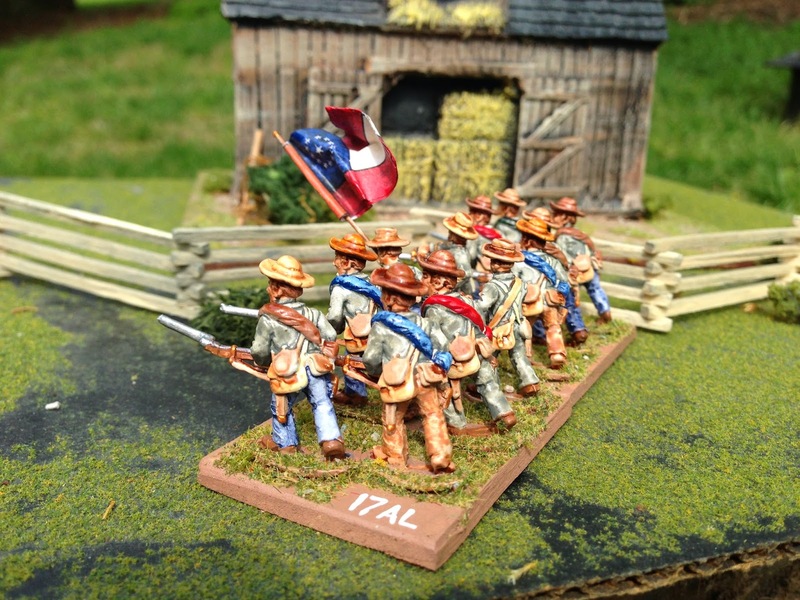 I picked up a few on eBay recently and decided to paint some specifically for a game of "Across A Deadly Field" that I'm running at Nashcon in May. This is the 17th Alabama Infantry Regiment. The 17th were organized in Montgomery in August 1861. They fought at Shiloh in 1862, where they lost 125 killed and wounded. They have an impressive service record and later fought at Resaca, New Hope Church, Kennesaw, Peachtree Creek and Atlanta. They lost about 2/3 of their men at Franklin during the Nashville campaign. A remnant later merged with other AL units and surrendered at Greensboro, N.C. in April 1865. A sneak peek of the Shiloh scenario I'm working on for Nashcon. I still have to add lots of fences, orchards, camps, etc. I'm using 15mm buildings with 25mm fiures to keep the ground scale for the buildings correct. Thoughts? Nice and the battlefield looks really good! nice unit.. the table top playing area looks great! Thanks Phil, I'm looking forward to running the game. I know what you mean something special about the old minis . 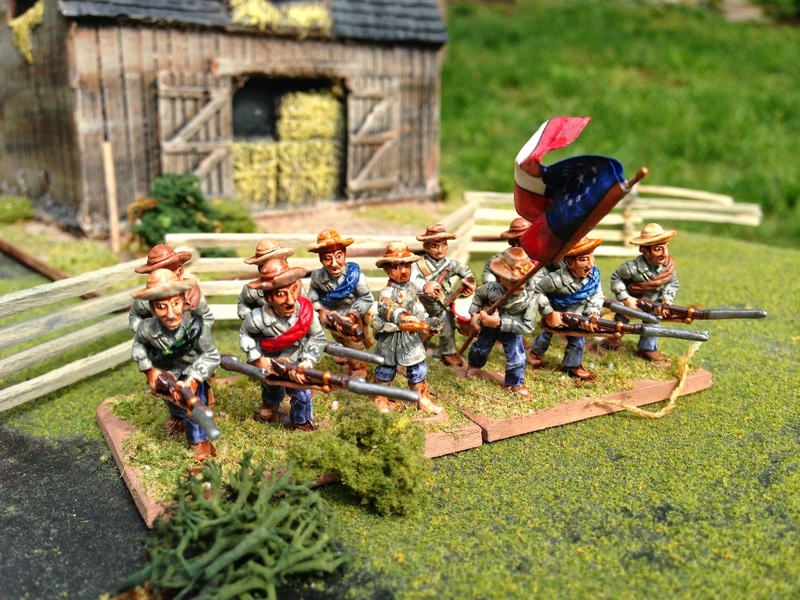 Yes, I really like these old Frontier figs! 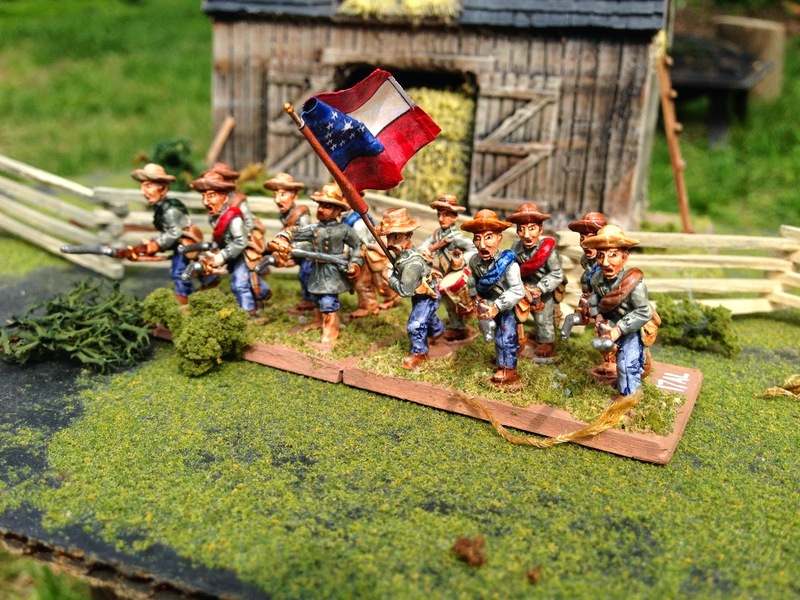 More wonderfully characterful troops Cory, really nice. 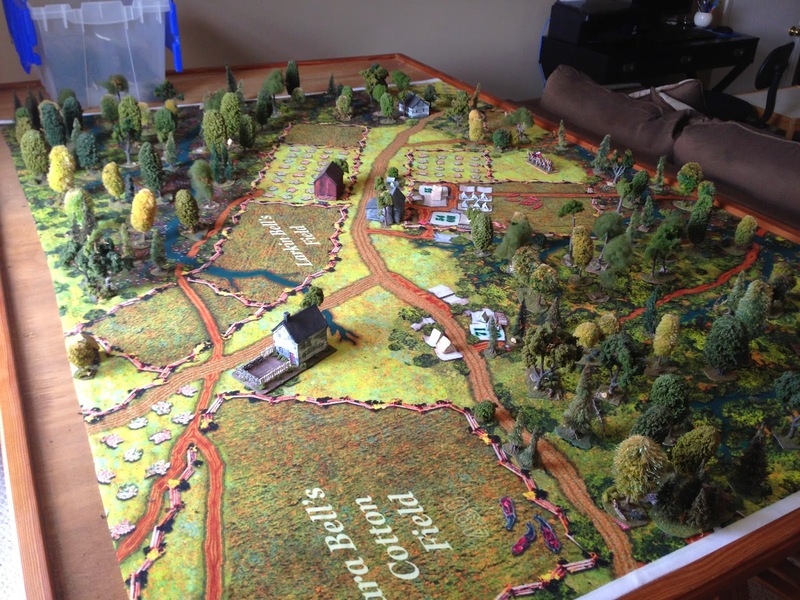 That board is interesting, have you printed out an original map and adding the terrain onto? Michael - I commented in the wrong spot! See my reply below! Nice troops Cory. That board looks just stunning. I think the smaller scale buildings could work. I recognise the issue with larger 28mm buildings being just too large and are disproportional. We sometimes use the smaller 25mm Hovels buildings which work good as they have a smaller pootprint. Mike, thanks! The footprint on my large 28mm buildings just takes up too much space when fighting historical battles. What should be a farm house ends up being stadium sized to scale! Michael, you have a sharp eye! It's a 2D printed map my friend John had made, and then I am layering 3D terrain over the top. I'll take some more pics when it is done. It should turn out really nice. That sounds superb, I'll look forward to seeing the new pictures.